For the last few weeks, I have been traveling up the East coast to visit family. I returned to a garden OVERFLOWING with cherry tomatoes! I have been searching high and low for cherry tomato recipes so they don’t go bad before I eat them. 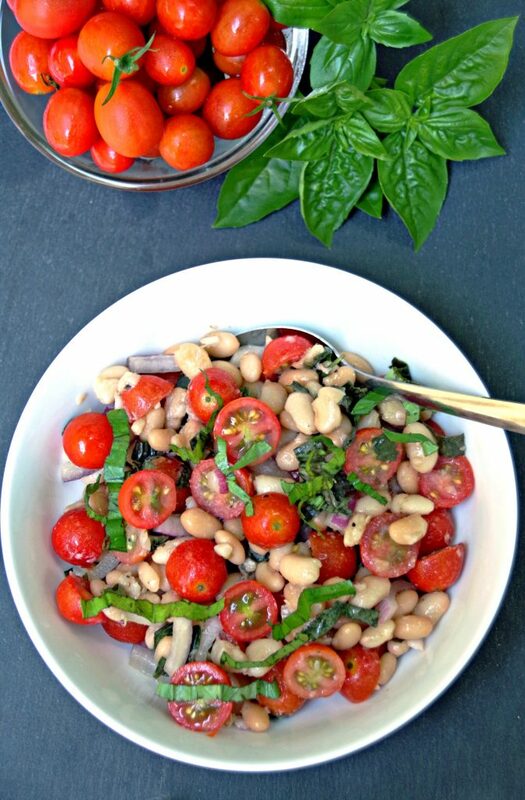 This white bean cherry tomato salad recipe was simple to make and a delicious vegetarian dinner. This tomato salad recipe calls for about 3 cups of cooked white beans. If you are in a hurry, you can use canned white beans that you drain and rinse. If you have a bit of time, you can make white beans from scratch. Starting with dried beans is VERY cheap and probably better for you than using beans that are canned. So, what is the best way to cook dried beans? Seriously… as a dozen people and they will give you a dozen answers! I have done the overnight soak and simmer the next day thing. It works great but is very time consuming. 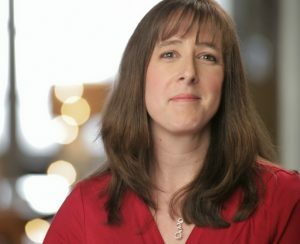 Last month, I finally broke down and bought an Instant Pot. I have been putting it off for a year because pressure cooking honestly terrifies me. But, cooking the beans for this white bean cherry tomato salad was SO simple in an Instant Pot! After cooking dried beans in the Instant Pot, I can seriously understand why people use these things. Took about 45 minutes to go from dried bean to completely cooked. Not quite as creamy as the overnight method but a lot faster! I started with about 1 cup of dried beans and 3 to 4 cups of water. So, we have ONE cherry tomato plant. It is absolutely thriving but I wish there was some way to get the harvest spread out a bit. Seriously. We picked about 6 cherry tomatoes before we left and we we got back, there were about a hundred of them ready to eat. There are way too many cherry tomatoes for me to eat before they go bad! Here are a few cherry tomato recipes to try if you have the same problem I do! 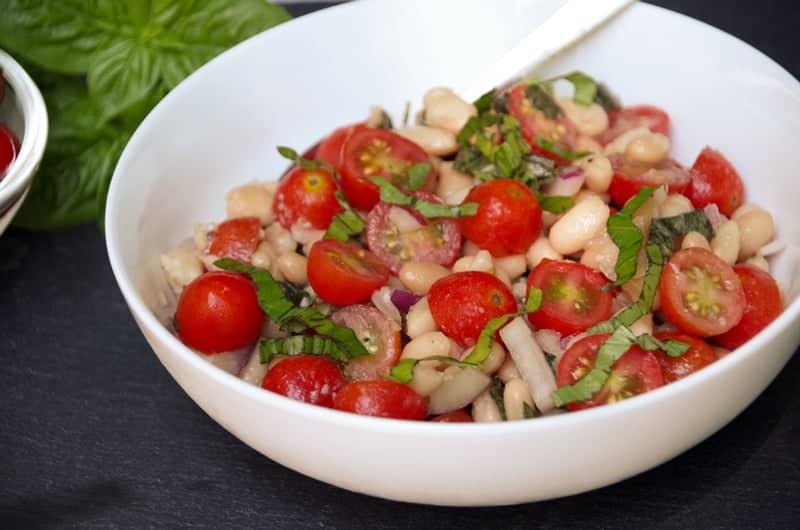 If you are looking for healthy dinner recipes loaded with protein, this white bean cherry tomato salad recipe is a great choice. I used premade Italian dressing and fresh basil from the garden. Once you have the cooked white beans, it takes only minutes to toss this together! This white bean cherry tomato salad recipe was simple to make and a delicious vegetarian dinner. 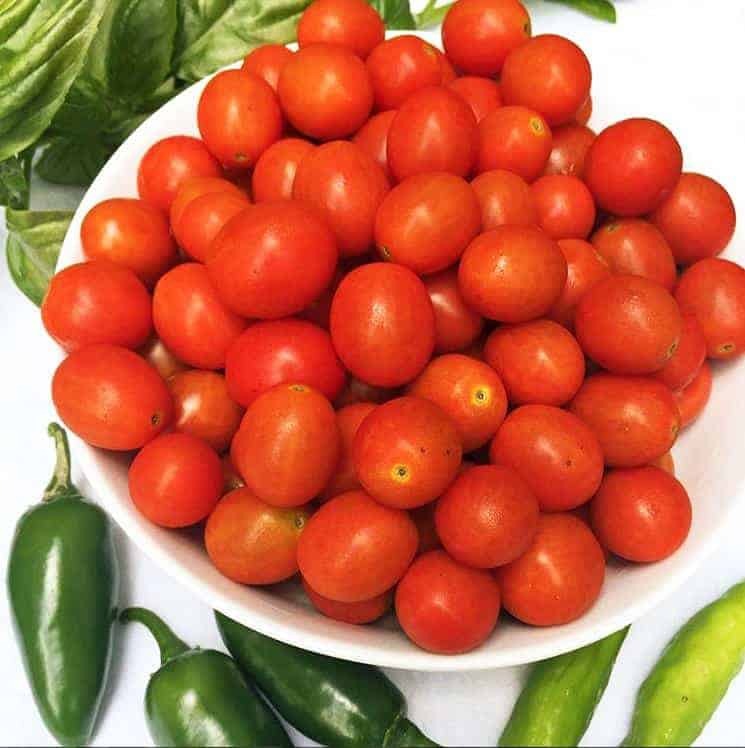 If you are looking for cherry tomato recipes, try this! Combine cooked beans with all other ingredients. Chill 3o minutes or so before eating.